Nortek Office 200 wireless mouse and receiver cradle which also acts as a recharger has PC connection of USB or with PS/2 adapter. 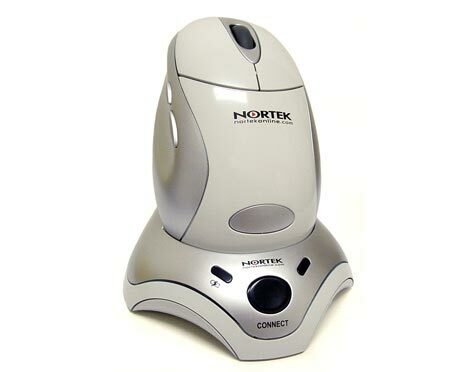 Nortek Office 200 wireless mouse features 800dpi resolution and 5 programmable buttons, with programmable scroll wheel able to perform lines or pages scroll or volume adjustment. There is also LED indicator on cradle connection and transmission. ComputerAct!ve reviewed Nortek Office 200 wireless mouse and concluded with rating of 3 out of 5 that as a cheap wireless mouse we could find little wrong with the Office 200, but some users might find the overly plastic feel not entirely to their taste.